Enjoy Utah! : Watch Studio 5 Tomorrow! 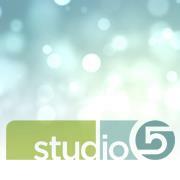 Make sure you watch Studio 5 tomorrow morning at 11am on KSL channel 5. I will be talking about some fun summer ideas to help you "Stay Sane" this summer! Visit their website for more "Stay Sane" tips and tricks! Our friend Jordan Page at Fun, Cheap Or Free was on there last week! Watch her segment HERE!